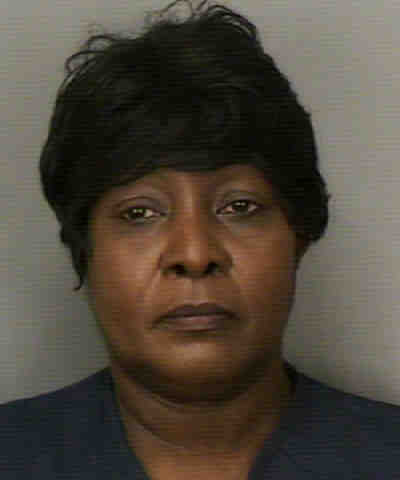 Polk City, Florida — Yesterday, December 10, 2014, Polk County Sheriff’s Office Special Victims Unit detectives arrested 52-year-old Clara McGriff, of Lake Wales, on a warrant charging her with one count Negligent Child Abuse (F-3). McGriff is employed by the Polk County School Board as a school bus attendant, and has been charged with child abuse for physically assaulting a child on the bus. Detectives said McGriff intentionally inflicted pain on the autistic child, and did so out of anger and frustration. According to reports, the child was strapped in a special harness designed to limit movement during transport. Detectives said McGriff saw the child playing with the seat belt next to [him] and she became aggravated. She then snatched the seat belt from the child and struck him with it. McGriff then returned to her seat. Moments later, the child started playing with the seat belt again, at which time McGriff jumped up from her seat and aggressively struck the child multiple times with a plastic water bottle. McGriff then stood over the child yelling, “I’m tired of you.” The child then removed his shoe and tossed it in the seat behind him. McGriff grabbed the shoe and threw it at the child — striking him with it. The child then spit at McGriff. McGriff grabbed the child’s arm, and with her free hand, struck him nine (9) times in the arm. McGriff then used her body weight to compress the child against the bus wall for approximately 40 seconds. She then yelled at the child, turned her back toward the child, and pushed herself backwards with her legs — again using her body weight to compress the child against the bus wall and window. A short time later, the bus came to a stop and McGriff assisted another child off the bus. Before she exited the bus, she instructed another special-needs student to press the child up against the wall. Once McGriff returned to the bus, she again used her body weight and pressed the child against the bus wall. The abuse continued until the child was dropped off at home. McGriff denied the allegations; however, the entire incident was captured on the bus camera. McGriff was booked into the Polk County Jail and will have a first appearance hearing on Friday. Per FSS 119, the video cannot be released, as it would reveal the identity of the victim, as well as the other students on the bus. Superintendent of Schools Kathryn M. LeRoy suspended McGriff without pay. She will also recommend her termination to the Polk County School Board at their meeting on January 20, 2015. McGriff has the right to request a hearing before final action is taken by the Polk County School Board. McGriff, a bus attendant with an annual salary of $12,156, was hired on January 26, 2006. She has one incident of prior discipline action in her personnel file for failing to give proper notice to use sick leave and be absent from work. According to Polk County records, McGriff was arrested and charged with seven counts of check fraud in 2001.